Ticketpro is a world leading provider of ticketing services for different events such as music concerts, sports games, theatre performances, etc. From the beginning of 2008 Ralev.com is the official graphic design studio for Ticketpro Europe. Since then we’ve designed various advertising materials for this client. This is the brochure design we created for the International Live Music Conference (ILMC) 2008 as an advertising material. 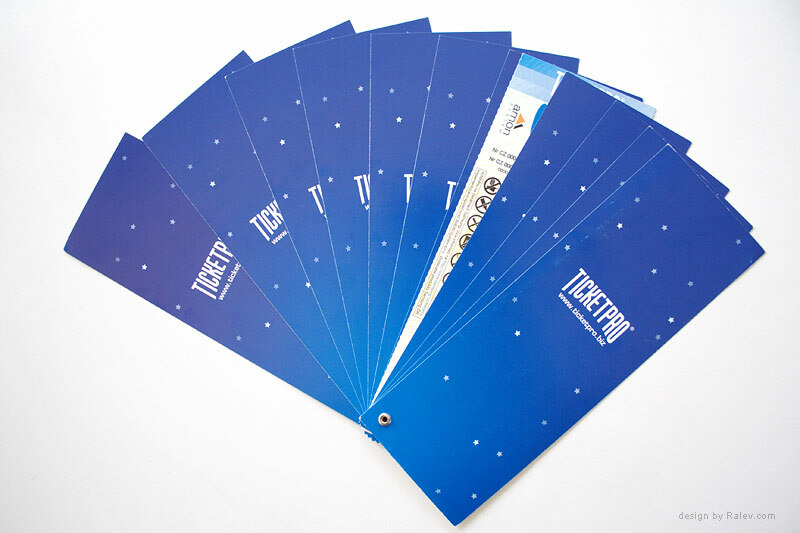 The final material was supposed to present the products, services and mission of Ticketpro. The brochure is inspired by a magazine advertisement we previously designed for Ticketpro. We are talking about a vector graphic of a globe in a sky, full of stars. 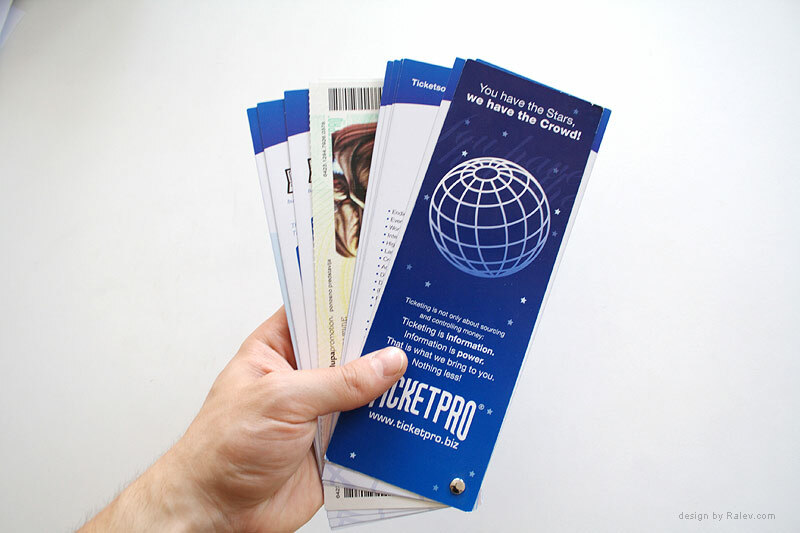 It serves to illustrate that Ticketpro is a global company operating in many countries around the world. We have also created the slogan “You have the stars, we have the crowd” which is targeted mostly towards the managers and producers. For this fan book brochure we used 4-color process print on 300 gr glossy paper. 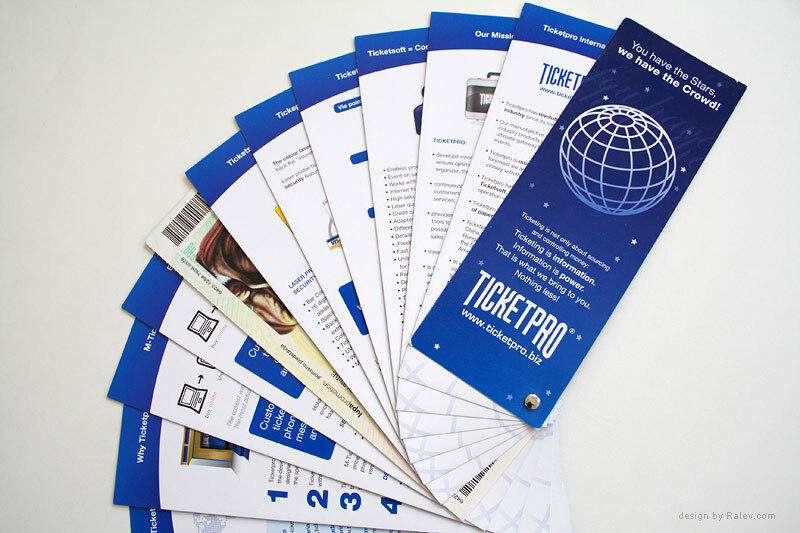 It’s 1/3 of an A4 size which is defined by the size of Ticketpro tickets – inside the brochure are included examples of Ticketpro tickets from past events.